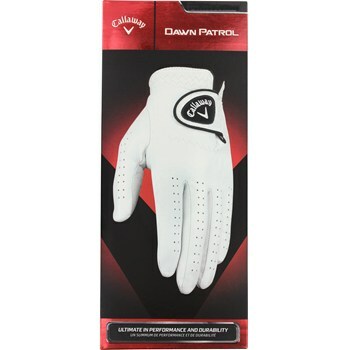 The Callaway Dawn Patrol golf glove is constructed with all leather material to deliver the ultimate in performance and durability. The Dawn Patrol features perforations on the palm, fingers and thumb, Opti-Fit™ adjustable closure system and a cotton terry cuff for a soft feel and moisture absorption. Is this glove for a RIGHT handed golfer ?